Unicorn Froot Loops Are Finally Coming to the U.S.
Now called "Kellogg's Unicorn Cereal," the mythical loops are galloping to American shores. The unicorn food phenomenon has yet to abate, and soon, may grow even stronger, as the fabled Kellogg's Unicorn Froot Loops are now officially coming to the U.S. First spotted earlier this year in sparkly boxes at grocery stores across the U.K., the limited edition cereal was yellow, purple, and red, but the American version will contain different colors upon crossing the proverbial pond to our shores. With red, blue, and purple loops featuring "white crunchlets" of a "magic cupcake" flavor, the new version brings to life a different set of colors from the rainbow mane of the Kellogg's unicorn depicted on the box. And in another tweak, the cereal will just be called "Kellogg's Unicorn Cereal," with a purple loop of "froot" in place of the Unicorn's "o" on the box denoting just what the mythical cereal will appear inside. 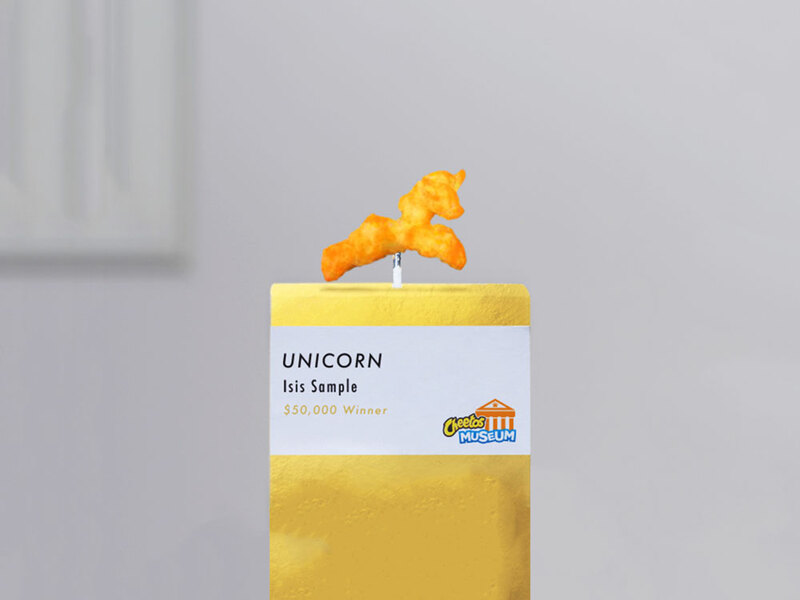 The Unicorn Cereal will launch for a limited time on U.S. grocery store shelves nationwide beginning in March of 2018, but before that, it will also be available at the Kellogg’s NYC Café in Union Square, at 31 East 17th Street. It's a fitting addition to the store, which opened just yesterday, and offers a more relaxed alternative to the cereal giant's Times Square location with signature bowls from lifestyle icon Lauren Conrad, the world's first freshly made Eggo waffles available to the public, and cereal-inspired coffee drinks like a Frosted Flakes café au lait. Wait, could this mean that a Unicorn Froot Loops-fueled take on the Unicorn Frappuccino could one day be possible? There's no way to know as of yet, but what you should know is that as rare a sight as the unicorn cereal may be, it's been sighted at Kellogg’s NYC Café this very week, so head on down if you want to catch a glimpse of this mythical morning treat.